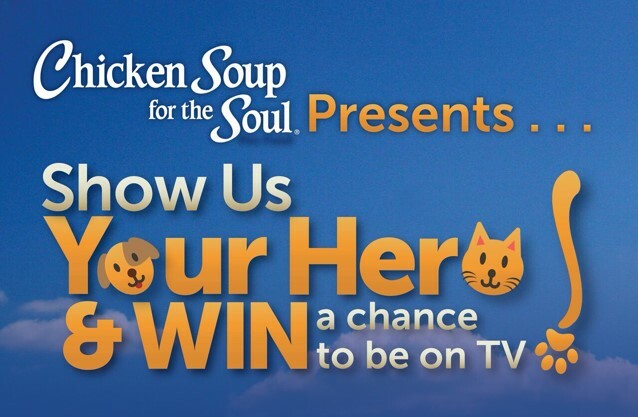 *This post is sponsored by Chicken Soup for The Soul Pet Food and the BlogPaws® Pet Influencer Network. I am being compensated for helping create awareness around the Brand and new product launch, but we only shares information we feel is relevant to our readers. Chicken Soup for The Soul is not responsible for the content of this article. Maybe because he's an angel?! Angels come in many different forms and I believe Dogs are one of them. His smile has been the brightest light in my darkest time. When it felt like the whole world is against me, Happy was always there for me. I know he will always on my side. So I try my best to give back my love by giving him a great quality food for his health. This one is New! Grain Free Chicken, Turkey, Pea & Sweet Potato Recipe! Chicken Soup for the Soul knows how important food is for your dog's Well-Being. What did you do Happy? on the CBS Saturday morning lineup! published in a Chicken Soup for the Soul book! My therapist, Dr. Happy says, "When you love your pet, every moment matters!" So let's try to remember those precious moments and share with everyone! to help support organizations that feed and care for animals in shelters or in crisis. Donations also go to support programs to provide service animals for those who need them. They also sponsor important programs like the American Humane Association's Hero Dog Awards!